The Tandy-Eckler-Riley Funeral Home has evolved to what it is today from three separate funeral firms merging at various times over the past 60 years. About 1944, Gerald Eckler purchased the Kipping Funeral Home from Mr. Oscar Kipping, creating Kipping & Eckler. During that same time period the T.M. Minnish Funeral Home and the Tandy Funeral Home were competitors. 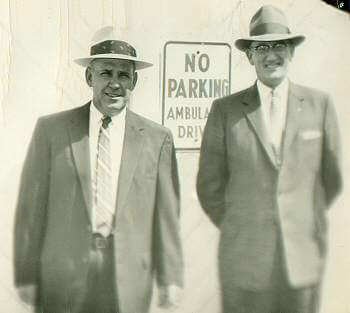 In the mid 1950's Mr. Eckler and Mr. C.S. Tandy merged their businesses and operated as Tandy & Eckler Funeral Home, maintaining two locations, Highland Avenue and Seventh Street, until the mid 1960's, and then only at the Highland Avenue location. In the early 1960's E.P. Gentry acquired full ownership of the T.M. 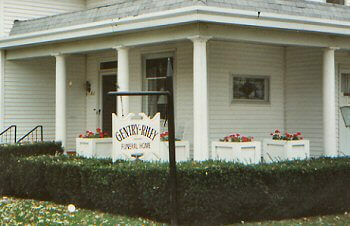 Minnish Funeral Home and operated as Minnish - Gentry, and later as E.P. Gentry Funeral Service. During the 1960's James C. Darnold was made a partner in Tandy & Eckler, becoming Tandy-Eckler-Darnold Funeral Home. In 1969 Mr. Tandy died and Mr. Eckler and Mr. Darnold continued as partners until Mr. Eckler retired in 1974. On September 1, 1987, Mr. Gentry retired, selling his business to Rob Riley, a Carroll County native. Rob operated as Gentry-Riley Funeral Home on Fifth Street until June 1991 when he acquired Tandy-Eckler-Darnold Funeral Home from James and June Darnold. At this time Gentry-Riley Funeral Home was merged with Tandy-Eckler-Darnold at the Highland Avenue location to begin Tandy-Eckler-Riley Funeral Home. The funeral home staff, besides Rob Riley, includes two licensed funeral directors and embalmers, David Wilhoite and Brent Stucker and two part-time employees and a full time administrative assistant. The funeral home offers funeral services from basic cremation to full traditional services. The staff is fully trained and knowledgeable in every aspect of funeral service. The business also offers pre-need arrangements and assistance following the service in the area of filing for insurance benefits, etc.